Delivers considerable rear foot stability. Curved last dumps the forefoot into further pronation. Beefier lateral heel does not lay down as smoothly as earlier versions. A considerable improvement over the divisive Wave Inspire 10. Although the shoes share the same midsole design, the upper of the Wave Inspire 11 harkens back to the low profile fit last seen in the Wave Inspire 9. Even with a last curvier than a Kardashian, the Wave Inspire 11 still provides enough rear foot control to deliver a smooth, stable running experience. Moderate over pronators looking for a contoured fitting, light, workhorse shoe that can be used as a daily trainer. The Mizuno Wave Inspire 11 is now in its second decade and the platform remains dedicated to providing a stable, light and quick ride that many runners can enjoy. The 11th edition enters the fray with a carryover midsole and a newly refined upper. Along with its sister neutral shoe, the Mizuno Wave Rider, the Wave Inspire 11 continues to play it pretty safe in both form and function. 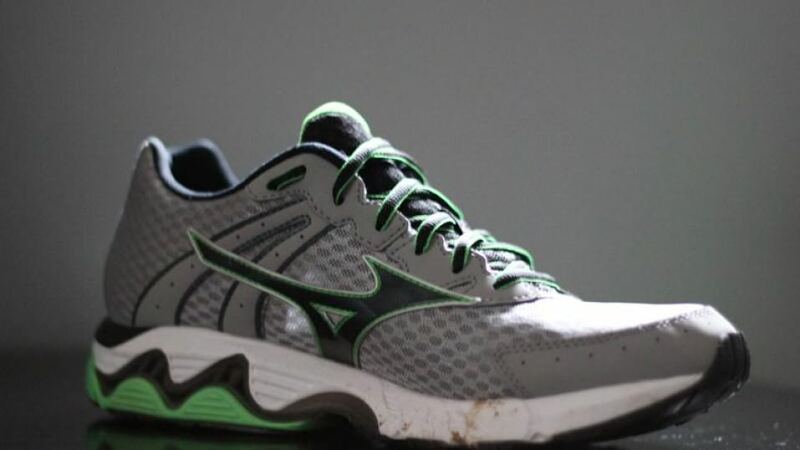 The shoe still fills the role of core stability shoe in the Mizuno lineup. As such it aims to deliver moderate stability and not be too crazy in terms of visual design. My test pair arrived in a very attractive cement gray and bright green. It’s primarily a conservative design but with just a touch of flash. Mizuno treats the Wave Inspire 11 to a fresh upper while utilizing the same midsole from the Wave Inspire 10. The fit has changed dramatically from the previous version; now the shoe fits slimmer and more shallow, not unlike the Wave Inspire 9. Even with the upper changes my size stayed true to the US 10 that I always wear. 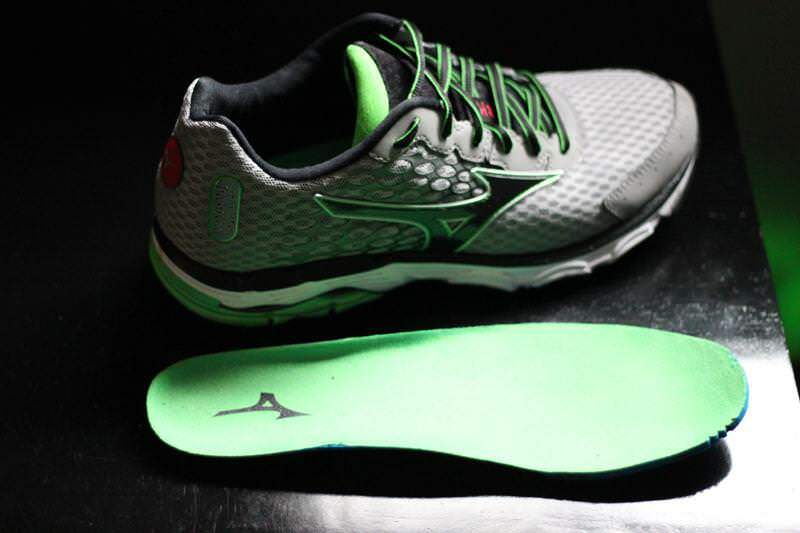 The heart of any Mizuno running shoe is always the wave plate. This is a plastic plate that serves as a “suspension system” for the shoe and provides shock dispersion, additional structure and torque resistance that other shoe designs have difficulty matching. The Wave Inspire 11 features the exact same design found in the Wave Inspire 10. Mizuno engineers stability into this plate by leaving open holes on the lateral heel aspect of the shoe while the medial side gets a “two up, two down” reinforced wave design that places extra rigidity under the heel and rear of the arch. The midsole material is U4IC (euphoric) which made its debut last year on the Wave Inspire 10. 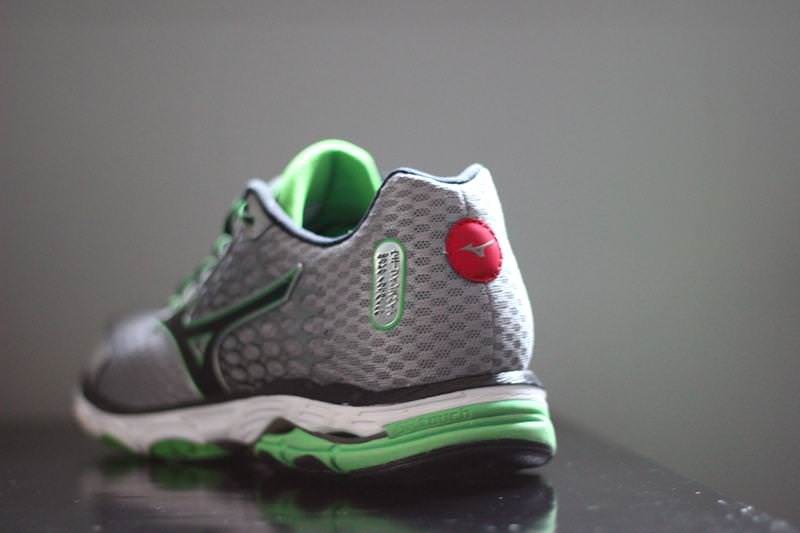 Mizuno claims it is lighter than the previous AP+ foam while retaining the same level of durability. Mizuno also places a wedge of SR Touch foam in the heel to further reduce shock from heel strike. Like the Wave Inspire 10, the 11th edition features a considerably more curved last than in any previous Wave Inspire version. 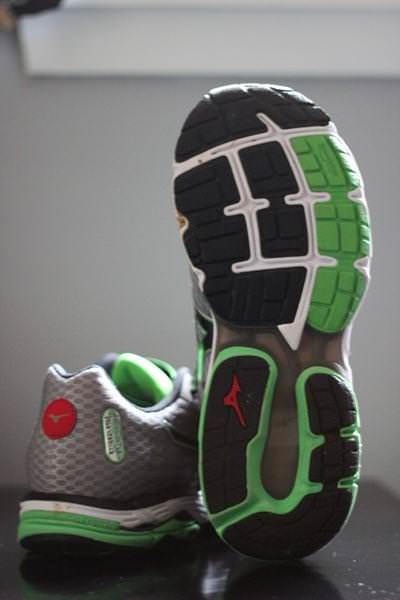 Blown rubber is featured on the outsole everywhere except for the heel which uses higher durability X10 carbon rubber. Clearly, all of the focus on improvement went into the upper of the Wave Inspire 11. In the 10th version, Mizuno cleaned house of nearly all sewn overlays and went with almost a completely welded overlay shoe. That’s now changed. Mizuno has returned to a more traditionally constructed upper for the Wave Inspire 11. We now have a thicker, sewn on medial and lateral Runbird logo, sewn eyelet row and a sewn medial arch strap that mates up to the eyelet row. In fact, I could only find three welded reinforcements; a lateral plastic netting under the Runbird logo and two hidden “underlays” connecting the eyelet row to the toe box. What remains of the upper consists of a breathable medium size oval hole mesh. The heel counter remains firm and the tongue is sufficiently padded even though it’s on the short side. The heel collar lining has been exchanged to include a finely woven material that seems more welcoming than before. Finally, Mizuno has further softened the Ortholite style sockliner to allows just a bit more of a softer feel. 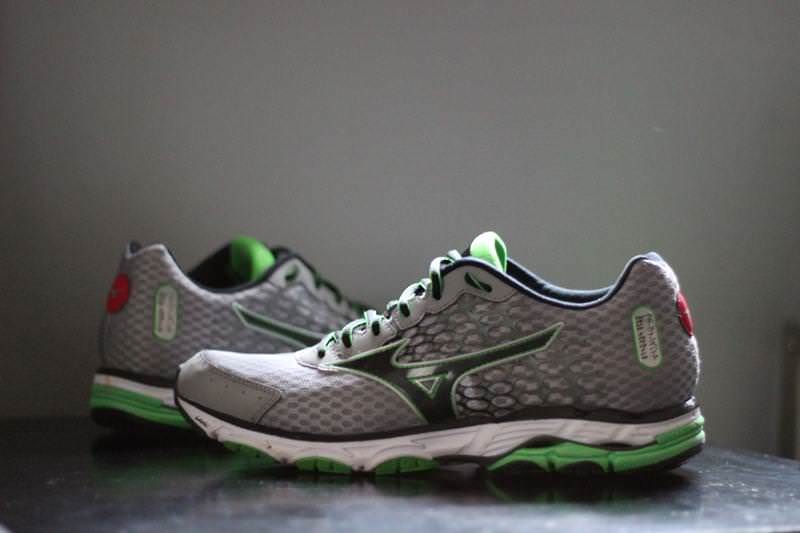 I have run in nearly every version of the Wave Inspire with the exception of the first and third version. 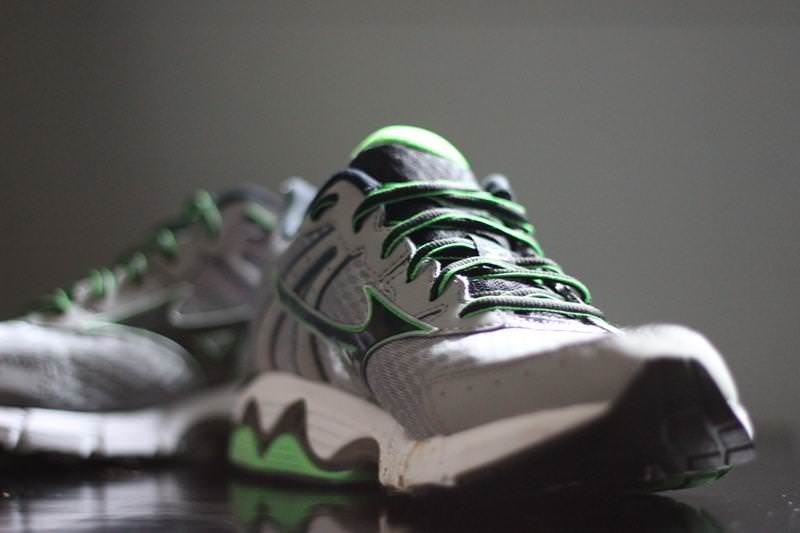 I still have a pair of the Wave Inspire 2’s because I have so many fond memories of running in this shoe. With that in mind, I was somewhat disappointed in the Wave Inspire 10. 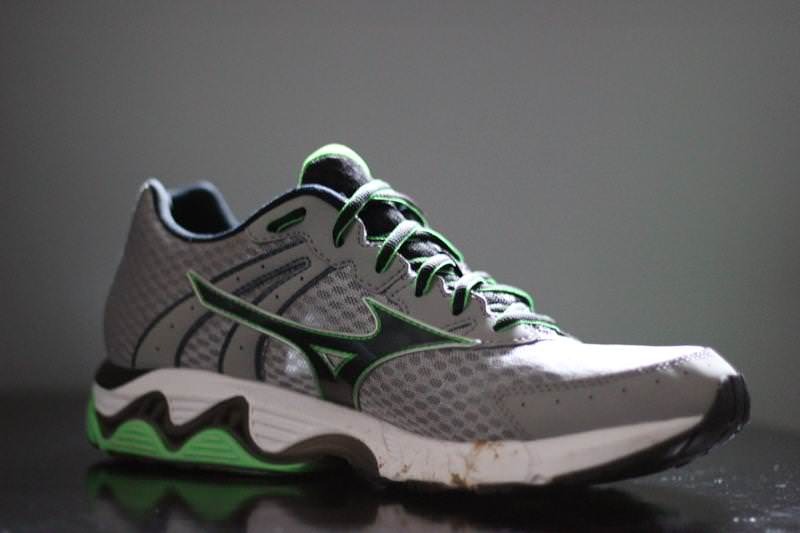 I did not review it for this website but I did review the Wave Inspire 9 here. I did, however, run through three pairs of the 10’s so I got to know that shoe quite well. Almost everything that the Wave Inspire 10 got wrong has been fixed in the 11. First, the upper in the Wave Inspire 11 is a return to form. It delivers a sleeker, form fitting feel that keeps the foot more locked in to the midsole. In the 10, the upper was so deep and loose that my foot slid around quite a bit. I would find myself tying the laces too tight to try and fix it but all I would end up with is sore feet from excessive lace pressure. No fun. The Wave Inspire 11 has a fit that allows me to relax the laces a bit, which I appreciate. The shoe simply stays in place. I also noticed that the eyelet row is not cinched at all, something that the Wave Inspire 10 certainly did. While Mizuno definitely got the fit dialed in, I’m not entirely sold on this midsole design. I don’t think it’s at all unfair for me to compare this shoe to the Wave Inspire 9, which I thought was about as good as a stability shoe has ever been. As I said before, this is a carryover midsole so the ride remains unchanged from the 10th Inspire. Mizuno has beefed up the lateral design of the heel and I feel like it doesn’t lay down as well as the Wave Inspire 9 did. In fact, it actually slings me into pronation sooner! If the medial side wasn’t also reinforced, I’d have real difficulty training in this shoe. I have very flexible arches and my navicular bone drops considerably during mid stance so I appreciate a shoe that has a firm arch located near the heel which the Inspire 11 still maintains. I also noticed that the U4IC midsole foam is worse about creasing under pressure than the older AP+ foam. Newer isn’t always better is the lesson here, I suppose. At any rate, I still like the Wave Inspire 11. It is still a stable, secure, and light shoe that will fill the role of trainer and distance racer for many runners. Considering that Mizuno did a 180 on the upper and delivered a winning fit, I can hold out hope that the next midsole design will bear in mind the success of its legacy shoes while still focusing on improvement. We thank the nice people at Mizuno for sending us a pair of Wave Inspire 11 to test. This did not influence the outcome of the review, written after running more than 50 miles in them. I swtiched to the Wave Inspires when the 9s came out. I think they are the best stability shoes I’ve ever run in. I thought your review of the 9s was spot on and was disappointed not to see you review the 10s. Like you, I was really disappointed with the 10s, and as such, I’m hesitate to trust the 11. Any suggestions for the shoe that best approximates the features that were so great about the 9? If its the Wave Inspire 11, so be it, but I’d be interested to know if there’s another manufacturer that is basically making a shoe that gets right what the 9 got right. For what its worth, I tried the 11 recently and thought the ride was a little firmer, faster, and more structured than the 10, but still not as good as the 9. Theo, wanted to see if you’ll be reviewing the Wave Inspire 12 for RSG? I’ve started seeing them in my local running stores – they’re firmer than the 11, but maybe a little heavier and clunkier. I’d love to stay with Mizuno, but the current version of the Nike Lunar Glide is pretty great. Also, in the future, it would be helpful if the same writer reviews the same silo of shoe from year-to-year so that there is some consistency in the reviews. The difference between your review of the Wave Inspire 9, the site’s review of the 10, and your review of the 11 is pretty illustrative of what I mean. I have scoured the internet looking for the 9’s as they have been the best shoe for me over the years. As a runner that has had IT band pains when switching shoes and even a stress fracture I am very hesitant to ever switch shoes when I find one that does not cause me issues. I can no longer find the 9’s in my size so wondering your thoughts on the 11’s as far as a replacement to the 9’s or is there another comparable non Mizuno shoe I should be looking at to replace these 9’s I love so much. Jerod, I agree, the 9 was the finest shoe I’ve ever run in. Will the Inspire 11 work for you? That’s difficult to say. However, I would encourage you to try it on and also give the Asics GT 1000 3 a shot. Great job, just wondering if you guys would review the wave rider 18, seeing that they made a lot of updates to solve the inherent probems of the 17’s hope you guys could review it! I bought the Wave Inspire 11 to replace my aging Wave Elixir 8’s. I’m really impressed with the comfort and the light weight of the Inspire 11’s. There’s definitely more foam in the front foot than my old Elixirs, which makes for a slightly softer ride. The heel is good and tight, with a nicely padded tongue. I like the extra space in the wider toe box too – fewer blisters on longish runs. I’m definitely skipping the Wave Inspire 12 because I prefer to buy light running shoes (around 9 oz) when I can. I just hope these Inspire 11’s go the distance – so far so good. Like many others who have posted here, I too have been running in the Inspire series for years. I land on my heels and this shoe has always been great for supporting my running style. However, the Inspire 11’s feel as though they are entirely different brand of shoe. The heel feels very chunky and transitioning off the heel is not smooth. I am disappointed Mizuno has made such drastic changes to this line. I have just now purchased the Wave Rider 18’s, and hoping these run like earlier versions of the Inspire. Have taken my new wave inspire 11’s for a few runs now (I’ve been wearing the inspire series for years and love them). Anyone else getting some pain in the metatarsals, especially on the top inside of the foot? I’ve tried adjusting the lacing and it helped some but didn’t fully alleviate the pain. I had this issue in the Inspire 8 & 9. By lacing totally loose on the front-most 2 or 3 eyelets I was able to reduce the metatarsal pain, but never completely eliminate it. I’m disappointed to hear this issue has re-appeared in Inspire 11 after the 10 solved it for me. Yes, I also had this issue w the 11. The 10s were a great shoe for me and I have been having problems finding a good replacement. I hope 12s will fit better, but I doubt it. About durability: for me it lasted less than 500kms. Although all over those 500kms, I quite liked the shoe. Hmm. I just threw on a new pair of these, Mizuno Wave Inspire 11, that I bought two months ago for $62. I did my research, I wanted a stability shoe, Mizuno has a great “name” in the running community (I’d never had a pair of Mizuno shoes before), so why not? Immediate feel? *** WAY COMFORTABLE. *** *** VERY CUSHY HEEL AND FOREFOOT *** –in a good way–on the street. OTOH: after such a short amount of use, the *** SOLE SHOWS EXCESSIVE WEAR *** which does not bode well for long-term durability. AND, I have no idea what you, Theo Clyatt (the reviewer), are talking about when you say that the 11 has “a sleeker, form fitting feel that keeps the foot more locked in to the midsole.” I know that’s especially in relation to your experience with the 10. However, I have a very average men’s size 9 foot, neither narrow, wide or with any bone deformities and these shoes are *** VERY WIDE IN THE FOREFOOT *** area. (I’m comparing the 11 to pairs of the Reebok ZigTech, ZigQuick Fire, and old Nike Structure 14. Also, the two pairs of Reebok shoes mentioned have virtually no arch support whatsoever and I am not claiming that those are also stability shoes.). As afar as arch support/stability (I have flat feet and have only recently discovered how badly I need arch support in my running shoes), the 11 shoes are no match for the old Nike Structure 14. At best, the *** ARCH SUPPORT FOR A STABILITY SHOE IS MERELY AVERAGE ***. I threw them on today because a sale notice hit my inbox that the 11 was now available for only $52 SHIPPED (!) and I wanted to test them out before ordering another pair–which I am not going to do. And, after reading Mr. Clyatt’s reviews of the Mizuno Wave Inspire 11 and Wave Paradox 2, I’m disinclined to try those in the future. As always, this is just my opinion and YMMV. I am a beginner runner. After 6 weeks of running (4-5 days/week), I found my left plantar fascia painful and left medial knee very sore, that I needed to rest for 2 days before next run. I did the wet-feet test and found my feet are moderately over-pronated. So I looked around for a pair of running shoes with a higher medial arch support. Salesperson in Gigasport Hong Kong recommended this to me. I went for a 5km trial run last night and found my left plantar fascia not hurting any more, but my right medial knee still a little bit painful. Overall I think it is very light and comfortable, a bit “rigid” and “tight-fit” in the mid foot (it’s supposed to be like that to hold up my arch). My feet felt very “free” during running and I almost forgot my feet were propelling, just moving my legs! I like this pair so much! I will try a few more runs and will get back more comments to this post…. I’ve run in every model of the Inspire (except the 6) and ran in the Mercury prior to the Inspire (Inspire replaced the Mercury). I’m a mid-foot striker and the 9’s were a great shoe…smooth midfoot landing, great transition, and plenty of forefoot protection. The 10’s and 11’s were big disappointments. Both had hard/uneven feeling midfoot landing, I felt like I had to exert extra energy to transition to the forefoot, and both had really poor protection in the forefoot. I had bad metatarsal pain in both the 10/11 during relatively low mileage runs (<6) that I've never experienced with other models of Inspire. The 11 was a slight improvement overall (mostly due to the fit of the upper) from the 10, but IMO, if you didn't like the 10, don't waste your time with the 11. Hopefully the Inspire 12 will address the poor transition and forefoot protection we've seen the previous two models. I thought the Inspire 9s were the greatest running shoe ever. The 10s were okay. I would wear them if i had to, but I actively searched the Internet for 9s. The 11s are okay. I am about to wear out my first pair and they have done the job. I think my 9s have much more forefront cushion. Compared to the 10s, they are night and day. In summary, if you like the 9s the 11s will do. If you liked the 11s, maybe these will work and maybe they won’t. One final comment-it is almost like they married the heel of the alchemy to a thin, flexible forefoot. The result to me is that the shoe feels like two different shoes; a rock hard, very stable heel moving to a thin, flexible forefoot. Add in a higher feeling heel and you get a clunky ride that is unstable in the forefoot. Theo, great review. I have not tried the inspire 11 but have run through a pair of the 10’s and agree with your assessment of the new midsole/outsole configuration. To me the heel feels more prominent and hard which results in a clunky ride. I am a midfoot striker and never had a problem with prior versions but the 10 makes me heel strike. I also don’t like the thin feeling of the forefoot compared to the 9. I assume the same problems would be present with the 11 even if it has an improved fit. I run the the Wave Inspire 9 right now (without any problems) – it’s the best show i’ve ever run, but i need a new pair now. I don’t like that Mizuno changed the Inspire 9 in general but especially that they increased the drop on the 10s and 11s. I tried the Kayano and GT-2000 but didn’t like them at all (I always feel loose heels on Asics). I want to try the New Balance 870v3 and Saucony Mirage 4 next. Do you think one of those two could work for me as a successor for the 9s? I only run on streets and train for my first half-marathon (goal 1h50min). Why not buy another pair of Inspire 9s? So glad to see Theo back reviewing Mizunos – in my opinion he is by far the best reviewer on this site and his Mizuno knowledge is second to none. Agree 100% with Theo comments about the Inspire 10. If you’re listening Mizuno, for the Inspire 12 please give us a touch more cushion in the forefoot and a less beefy heel with better lay-down. I preferred the Inspire 9’s cushioning, lower profile and lower heel (compared to the 10/11). Thanks Stan. Unfortunately, I cannot compare the current Structure and the Inspire as I have not received a pair to test. Theo, great review, I also like the video that you provided. I looked at the Wave Inspire 10 last year but passed on it as the thought it was firm and went for the New Balance 860v4 which I liked and got many miles out of however I would like a little more forefoot cushion. I recently got a pair of Nike Structure 18’s and have about 25 miles on them and so far love them. My question is what do you think of the Structure next to the Inspire 11 and how does the cushioning match up between the two.